All right, kids. Time to release some news that Rosemarie and I have been keeping under wraps for a few months now. Good news. Big news. Seriously? That’s the best drumroll we can – you know what, forget it. We’re forging ahead. Rosemarie and I are hugely excited to announce that our mystery novel Design for Dying, which we wrote under the pen name Renee Patrick, will be published by Macmillan’s Tor/Forge Books in April 2016, with a sequel to follow in April 2017. Design is set in 1937 Los Angeles and introduces Lillian Frost, an aspiring actress who has traded in her dreams of stardom for security as a department store salesgirl. 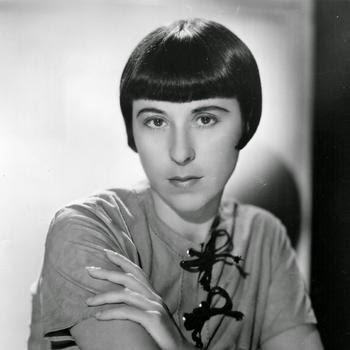 When her former roommate is murdered, Lillian is drawn into the investigation – and the orbit of Edith Head, the famed costume designer at Paramount Pictures then in the early days of her legendary career. With assists from a host of silver screen luminaries, the two ladies join forces to track down a killer hiding in the shadows around the Klieg lights of Hollywood. We were thrilled when Design won the 2013 William F. Deeck-Malice Domestic Grant for Unpublished Writers. (Reminder: you have until November 15 to submit your application for this year.) We are beside ourselves that the book has found a home with the great people at Tor/Forge, and that Renee Patrick will have the opportunity to write another mystery featuring Lillian and Edith. Rosemarie and I have always envisioned this as a series drawing on real Hollywood history and the astonishing legacy of Edith Head, an enormous talent who dressed everyone, knew everyone, and blazed a trail for women in show business. Word of Design’s sale broke on Halloween in this post we wrote for the Boucheron 2014 blog. We’ll be in Long Beach for this year’s convention and participating in a Tor/Forge author event at Bouchercon on Friday, November 14. If you see us, come say hi. We’ll be the couple standing around looking dumbstruck at our good fortune.